The clay detailing complete kit contains everything you will need to remove stubborn deposits that stick to the paintwork. Bonded contaminants can dull the finish and affect the overall gloss, this kit will remove these and help you achieve a silk, quality finish. 1.Wash the vehicle with Bodywork Shampoo Conditioner and dry. 2.Break off a small piece of clay, knead and flatten it into the size of a large coin. 3.Ensure the vehicle is cool. 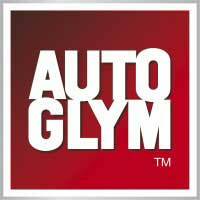 Spray a generous amount of Rapid Detailer onto the clay and onto a small area of paintwork. Glide the clay lightly over the surface in straight lines. 4.Once the area feels smooth to the touch, wipe away any excess Rapid Detailer with the microfibre cloth. Repeat the process on a new area, overlapping slightly with the previous section so nowhere is missed. Fold the clay frequently to expose a clean surface. 5.When complete, apply a coating of Super Resin Polish to the paintwork for a guaranteed result.